Burrngupurrngu (Bruce) Wunungmurra was diagnosed with chronic myeloproliferative disease several years ago. He is a senior Yolngu (Aboriginal) man who lives in a remote community in North East Arnhem Land in Australia's Northern Territory. 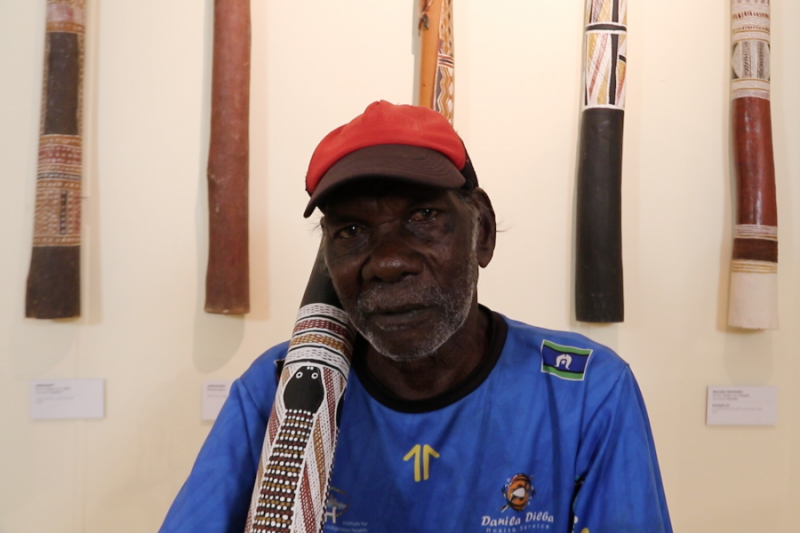 Bruce is an Internationally recognised yidaki (didjeridu) maker who has been proudly supporting his large family through the production and sale of his work. Bruce has represented his people as part of a cultural performance group that toured worldwide in the early 1970's and he has been openly sharing his culture with all those who visit his community and make contact with him. He is known by many for his kind and generous nature. His deteriorating condition now means that he no longer has the energy to work, with very little financial support for his family who depend on him. He has to travel between Nhulunbuy and Darwin for blood transfusions, which are needed every two weeks to maintain healthy blood levels. 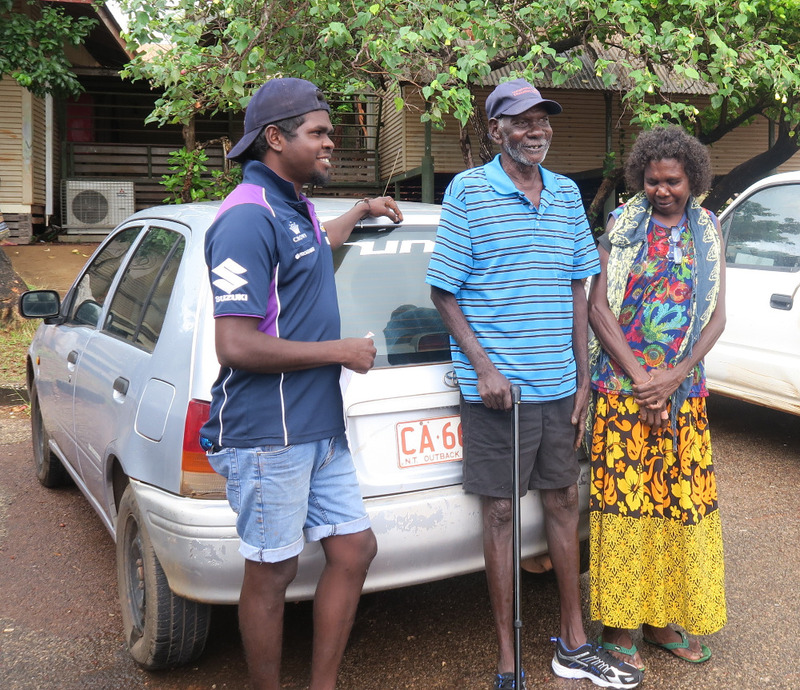 He has no car of his own and often has to pay for expensive taxi fares from his community to the local hospital and supermarket in Nhulunbuy. Your kind donation will be used to provide immediate and ongoing support in the form of food and travel expenses for himself plus his wife and children, so they can all be at his side through this challenging time. We deeply appreciate all donations and thank you all. Well it has been quite some time since our last update. Bruce has been away in Darwin for an extended period of time and then in Adelaide for specialist treatment. Just recently he has returned to Nhulunbuy. Upon his arrival back home he was met with a small car that was purchased with part of the money that has been raised so far. This makes traveling back and forth to the hospital and supermarket so much more affordable and easier. He is pictured here with his wife Djuldjul and son Didiwarr in front of the car. We will be posting a special message from Bruce soon so stay tuned! Thanks again to you all for helping make things easier for Bruce and his family. On behalf of Bruce and family, we wish to thank all those recent donors, in particular those individuals and organisations who have taken the initiative to get creative with how they can support this campaign. Peter Gerritsen in Holland sold 2 of his personal yidaki and Gregory in France raffled a hemp didjeridu from his shop! Thanks everyone for your continued support!